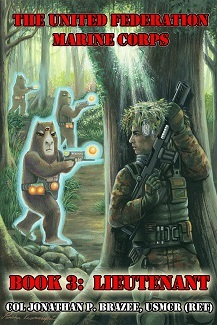 The Return of the Marines Trilogy is a series of three stories set in the near future. All three books are connected and have some of the same characters, but each one stands independently as well. While there is the action expected of military fiction, each one tries to examine just what it means to be a United States Marine. All three books have made it to on several Amazon.com bestseller lists, reaching Number 1 in War Fiction and in the Top 20 in Action and Adventure Fiction. Gunnery Sergeant Jacob McCardle is the commander of the Marine Detachment at the US Embassy, New Delhi, when the president of the United States arrives on an official visit, the same man who, as a Congressman, sponsored the bill that had decimated the Corps in a cost-cutting effort. As the president arrives, the embassy is attacked and isolated by a mob of nationalists. With the Indian government seemingly unwilling to take action to restore order and with an ambitious vice-president seizing this as an opportunity to move up to the White House, it is up to Gunny McCardle and his small band of Marines to keep the president alive. Faced with tremendous odds, Gunny has to lead his Marines in an almost impossible task. That is nothing new to the US Marines. Impossible tasks are the Corps' forte. But can his small detachment keep up the tradition of the Corps and succeed despite tremendous odds? 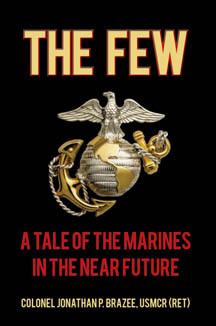 For reviews of The Few or to purchase it from Amazon, please click here. After the events at the US Embassy in New Delhi, the Marines are being brought back as a combat unit. Newly commissioned 2dLt Anthony Niimoto, a hero of the embassy takeover, is with the first Marine battalion to get back into the deployment cycle. Assigned to anti-piracy, this is supposed to be a dull deployment. But when a US ship is seized by Somali pirates, it's First Platoon, K 3/6 at the tip of the spear. With SSgt Davidson, an ex-Ranger who returns to his Marines roots, the two of them must lead their platoon into harms way, ever conscious of Black Hawk Down, the Battle of Mogadishu. Was Tony Niimoto a one-shot wonder in New Delhi, or does he really have what it takes to be a leader of Marines? For reviews of The Proud or to purchase it from Amazon, please click here. China is growing in power and in need of raw materials. When an aggressive general, with encouragement from an unnamed puppet master in the Politburo, moves to seize the Spratly Islands from The Philippines and Taiwan, the Marines of the 15th MEU are the only unit in position to do anything about it. What makes things more difficult is that the Chinese have made great strides in cyber-warfare that have negated America's technological superiority. What will be the result of years of letting China manufacture electronic components and even parts for the US aircraft, satellites, and communications systems? "Every Marine is a rifleman" has never been more true when the ultimate weapon in the nation's arsenal is the basic infantryman. But can Captain Tony Niimoto, a hero of both the embassy takeover in New Delhi and the hostage rescue in Somalia, lead his company against an overwhelming force of the finest of the People's Liberation Army? Can Sergeant Harrington Steptoe, Sergeant "Jay" McNamara, and First Lieutenant Peter Van Slyke step up into the mantle of leadership when all the odds are against them? 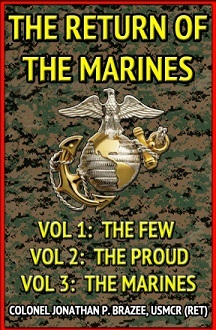 For reviews of The Marines or to purchase it from Amazon, please click here. The Return of the Marines. 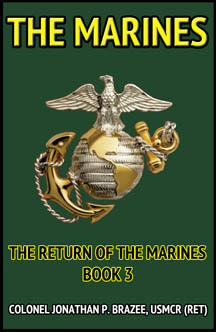 The Return of the Marines Trilogy is a compilation volume of the above three books. 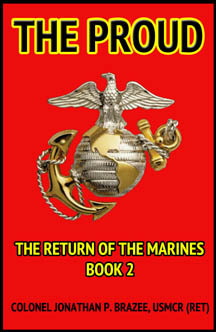 For reviews of The Return of the Marines or to purchase it from Amazon, please click here. 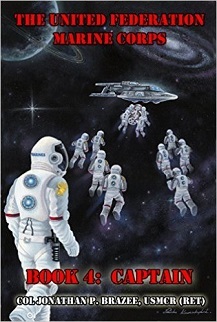 The books of the United Federation Marine Corps are Amazon best-sellers, with all five books breaking the Top 20 for Science Fiction and Top Five for Space Marines. Recruit reached #11 for scfi, #1 for Space Marines, and #2 for War and Military. From bootcamp brawls to skirmishes with galactic pirates, Ryck's new life presents him with unimaginable adventures and forces him to prove his mettle as he forges his new identity and fights to earn his place as one of the Brotherhood of Marines. For reviews of Recruit or to purchase it from Amazon, please click here. Ryck Lysander has proven himself as a Marine, as a warrior. As he is promoted to sergeant, though, his responsibilities expand beyond merely fighting to leading other Marines into battle. When an old ally becomes a new enemy, one well-equipped and trained, Ryck is pushed to his very limits as he tries to keep his Marines alive while fulfilling his mission of defeating the enemy on the field of battle. Faced with extraordinary challenges and grueling missions, Ryck discovers love, loss, brotherhood, and dogged inner strength as he learns what it means to be a sergeant in the United Federation Marine Corps. For reviews of Sergeant or to purchase it from Amazon, please click here. As a certified Federation “hero,” Sergeant Ryck Lysander is offered a commission as a second lieutenant. Only, he doesn’t feel like a hero, and his tendency to jump into a fight himself is at odds with his mission as a junior office. Accepting his commission might have been a big mistake. 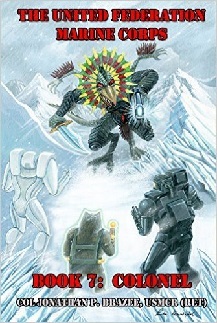 When contact with an alien species is finally made, that contact is not peaceful, and Ryck is thrust back into combat, combat that does not end well and plunges Ryck into an emotional crisis. Thrown the lifeline of transferring to Marine Reconnaissance, where he is back to being a fighter and not responsible for as many subordinates, this is Ryck’s last chance to determine if he has what it takes to be a leader of Marines. For reviews of Lieutenant or to purchase it from Amazon, please click here. For reviews of Captain or to purchase it from Amazon, please click here. A Marine major is one of the orphan ranks, too senior to command a line company, but too junior to command a battalion. Newly promoted to major, Ryck reports for duty as the assistant naval attaché to the Confederation of Free States, the same government whose troops he’d recently fought in the Telchines. Ryck wasn’t happy about the assignment, but he buckled down for a long and boring tour of duty. But action seems to follow Ryck, and this is no exception. From the diplomatic post on New Mumbai to leading one of the newly formed Raider special ops companies, Ryck continues his eventful career as a United Federation Marine. 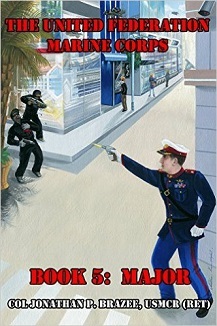 For reviews of Major or to purchase it from Amazon, please click here. As a lieutenant colonel, Ryck is given command of the Second Battalion, Third Marines, the Fuzos. Along with one other battalion, 2/3 is designated as a new assault battalion, with its own armor, artillery, and air assets. With the Marine Corps anxious to certify the resurfaced concept of integrated operations units, the battalion is thrown right into the fire. With his new command, Ryck has the opportunity to prove his ability to be a true combat leader and not just as a warrior. But with that opportunity comes the risk that he cannot handle the manager aspect of command: the logistics, training, maintenance, admin, and support aspects that allow every unit to maximize its combat potential. As a sergeant and junior office, Ryck has ordered men to their death before, but with a battalion, he has to make even harder decisions with even greater reach, decisions that will mean life and death to those affected. A proven fighting Marine, Ryck still has to master every requirement of command—the tactical and the support—if he is going to keep his career alive in the Corps. For reviews of Lieutenant Colonel or to purchase it from Amazon, please click here. Ryck has proven himself as a warrior, a fighter, and sometimes, in a peacetime Corps, that can get a Marine into trouble. Ryck’s temper gets the best of him, and because of that and with a heavy heart, he resigns his commission. As an old enemy comes a-calling, a new threat surfaces, and Ryck’s services are once again needed. Given a second chance, Ryck answers the call, determined to make good. This new threat, however, might be insurmountable, especially when Ryck has to deal with a personal crisis that could overcome him. For reviews of Colonel or to purchase it from Amazon, please click here. 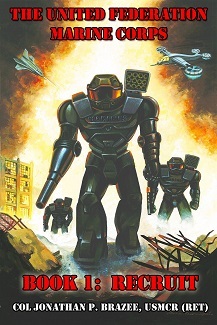 The First three books of the United Federation Marine Corps are offered as a one-book Ryck Lysander Trilogy. For the combined volume, please click here. 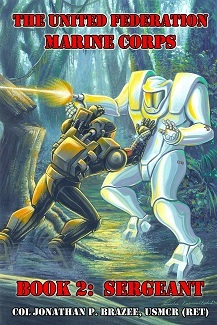 Rebel is set in the same universe as the United Federation Marine Corps series, and while the Marines make an appearance, this book is not about Ryck Lysander or the Corps. Michiko MacCailín is a member of the First Families, more concerned with her privileged lifestyle of ballet, spending time with friends, and planning her wedding than of the injustices suffered by the indentured workers of the all-powerful Propitious Interstellar Fabrication, Inc., the charter holder of the planet. When her activist fiancé is murdered at a protest rally, she blames the company and embarks on a personal mission of vengeance. Michi has some initial, if minor success, but when the company requests that the Federation send in the Marine Corps to quell the unrest, the stakes immediately get higher. 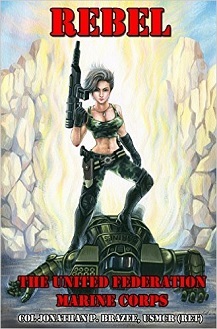 Undeterred, Michi is willing to take on the Marines if that is what it takes to achieve her revenge. WARNING: This book contains some graphic violence that may not be suitable for all readers. 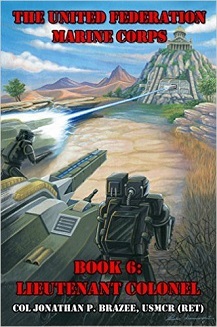 AUTHOR’S NOTE: Rebel is set in the same universe as the first three books in The United Federation Marine Corps series, and a few of the characters in those three books make brief appearances in this one. However, this is a decidedly different book, examining what it might be like on the other side of a Federation Marine deployment. The battle scenes are limited, and the violence is much more visceral and personal. This is a darker, deeper book and not your typical “Space Marine” story. For reviews of Rebel or to purchase it from Amazon, please click here. The First Barbary War (1801-1805), or “America’s First War on Terror,” as some refer to it, was a pivotal moment in US history. While both the Navy and Marines participated in the Quasi-War with France, it was the war with the Barbary pirates that cemented both the Marine Corps and the Navy as the proud organizations that they are today. This was the war that produced heroes such as O’Bannon, Decatur, Preble, Porter, Hull, and Somers. To the Shores of Tripoli follows three fictional Marine privates as they participate in the watershed moments in the war. Private Seth Crocker is an uneducated, underage Marine who fights from the tops of the USS Enterprise and in battles such as the Gunboat Battle off the coast of Tripoli. Private Ichabod Cone, a veteran of the Revolution, is part of the crew of the USS Philadelphia when it is captured and spends most of the war as a slave of the pasha. Private Jacob Brissey is one of the seven Marines, under Lieutenant Presley O’Bannon, who march 600 miles across the desert against tremendous odds to attack and capture the city of Derne, where, for the first time in history, the US flag is raised over foreign soil. This book is historical fiction, but the events it describes are historical fact. Most of the characters actually existed and fought in the war. Where possible, their actual words are reproduced here. In all other cases, dialogue and characterizations were born in the author’s imagination. The First Barbary War is considered the birth of the US Navy. It is equally valid to say that the war created the foundation for the Marine Corps as we know it today. 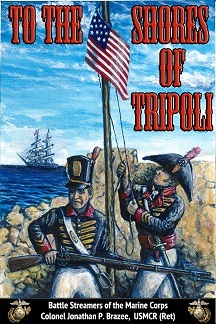 For reviews of To the Shores of Tripoli or to purchase it from Amazon, please click here. Cpl Nicholas Xenakis made two tours to Iraq as a grunt, something he was born to do. When his wife gave him the “me or the Corps” ultimatum, he chose her, but not before he joined the local reserve battery for one last pump. The battery was assigned as a provisional MP company with the mission of convoy duty, something Nick figured would not be as exciting as his grunt tours, but at least he was back in the fight. Convoys from Fallujah to Ramadi and the Green Zone, however, gave him his adrenaline rush and a view of the war he hadn’t had before. But when his convoy was hit in Fallujah, Nick faced the most life-threatening and dangerous situation a Marine in Iraq could face, and he would have to face it alone. 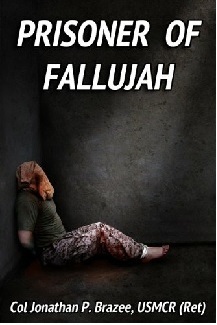 Warning: Prisoner of Fallujah contains some vulgar language and some extremely graphic and disturbing descriptions of torture and violence. Some of the views expressed by characters in the book are not “politically correct” and do not necessarily reflect the views of the author or follow Marine Corps policy.